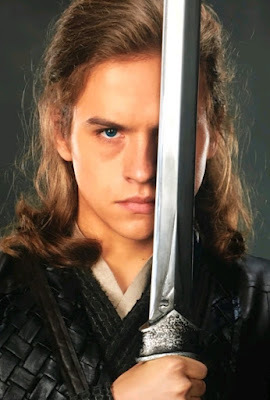 1ST PHOTOS ARE IN FROM MOVIE ADAPTATION OF PUCCINI'S 'TURANDOT' WITH DYLAN SPROUSE, SOPHIE MARCEAU, VINCENT PEREZ! GAL GADOT TO EXPERIENCE 'DEATH ON THE NILE' WITH KENNETH BRANAGH! Guan Xiaotong and Dylan Sprouse and now we have the first photos! The movie, which finished shooting under the helm of Xiaolong Zheng, will also star French stars Sophie Marceau and Vincent Perez alongside Asian stars Hu Jun, Collin Chou and Lin Siyi! The film does not yet have a release date! put to death. One day, Calaf (Dylan Sprouse), an ordinary citizen, risks his life to answer the riddles to save her and inadvertently uncovers his own extraordinary past. As much as I wanted to love it, Kenneth Branagh's adaptation of Agatha Christie's Murder on the Orient Express was a ghastly bore for me, but it does not mean the new film in the series won't be better. As 'Deadline' reports, Gal Gadot has just joined him in his new adaptation of DEATH ON THE NILE in which, beside directing, he will again play Hercule Poirot. The writer is, sadly, the same as in Orient Express, but unlike that one, where a murder happened on a train, in this one Poirot is investigating a murder on a boat. Gal Gadot will be rich heiress Linnet Ridgeway Doyle who was enjoying that luxurious cruise when the murder happened only to continue again when the suspects start dying one by one.The movie should be out for New Year's Eve 2019! Just a month before that you will be watching Gadot in Wonder Woman sequel. In the whole slate of new science fiction series, Netflix has just ordered a seven episode sf mini series THE I LAND and has hired Alex Pettyfer, Kate Bosworth and Natalie Martinez. 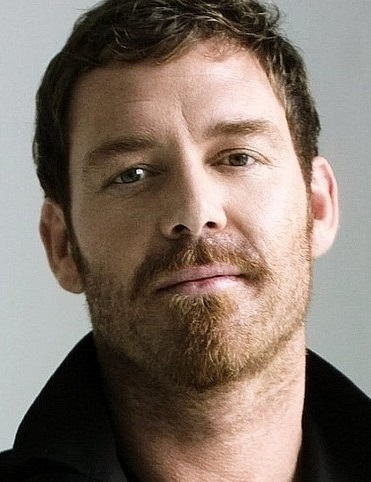 Bosworth is also producing the series to be directed by Neil LaBute who is also the showrunner and writer. will be a new sf action adventure series. 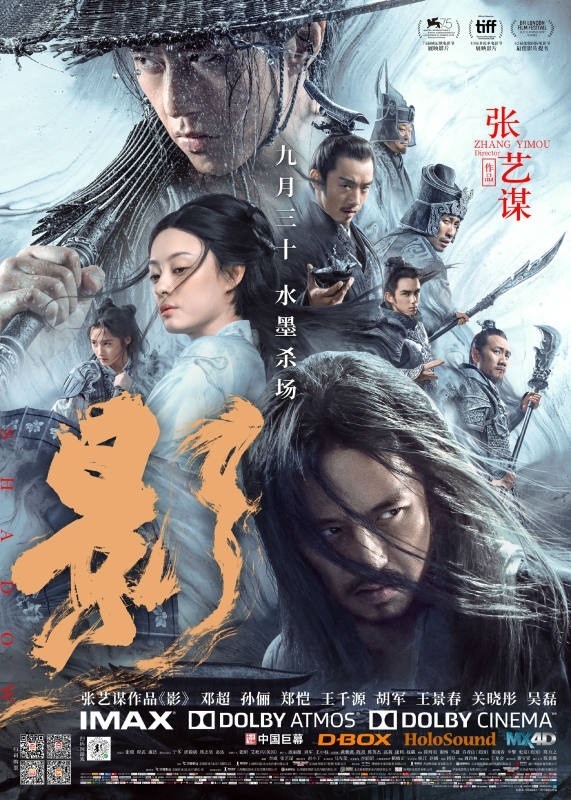 When ten people wake up on a treacherous island with no memory of who they are or how they got there, they set off on a trek to try to get back home. They soon discover this world is not as it seems. Faced with the island’s extreme psychological and physical challenges, they must rise to their better selves or die as their worst ones. Prince Paul, Jason Clarke her lover Prince Grigory Potemkin! 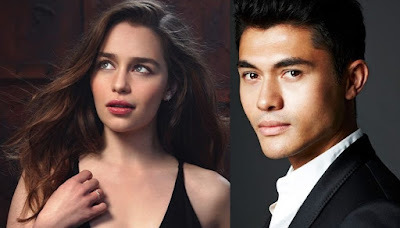 Antonia Clarke has now been added as Paul's wife Princess Sophia and Adam El Hagar as general Valerian Zubov who had an affair with the much older empress. CATHERINE THE GREAT the four part saga is set against the politically tumultuous and sexually charged court of Russian empress Catherine the Great who wielded supreme power throughout Russia for nearly half of the 18th century; strong minded, independent, brilliantly intelligent and sexually liberated! It will depict the end of her reign and her passionate affair with Grigory Potemkin, a Russian military commander who became Catherine’s lover, favoured statesman and life long friend. Amid scandal, intrigue and immense conflict, they develop a unique and devoted relationship, overcoming their adversaries and together serving as the architects of modern-day Russia. Laurie Davidson will star in Cats! joining CATS movie musical which follows a tribe of cats over the course of one night. 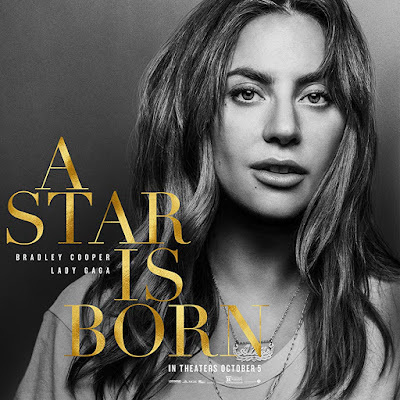 The feature adaptation of Andrew Lloyd Webber's famous musical already has Ian McKellen in the cast next to a rather silly bunch that includes Taylor Swift, Jennifer Hudson, James Corden, Scheduled for December next year, the movie will probably include some new songs as well. Les Miserables helmer Tom Hooper is directing the big screen adaptation. Davidson and McKellen aside, this is really shaping up to become one of those projects nobody really asked for.Laurie is currently shooting The Good Liar movie with Ian McKellen, Helen Mirren, Jim Carter and Russell Tovey. Now, that one, really does have a cast to die for. 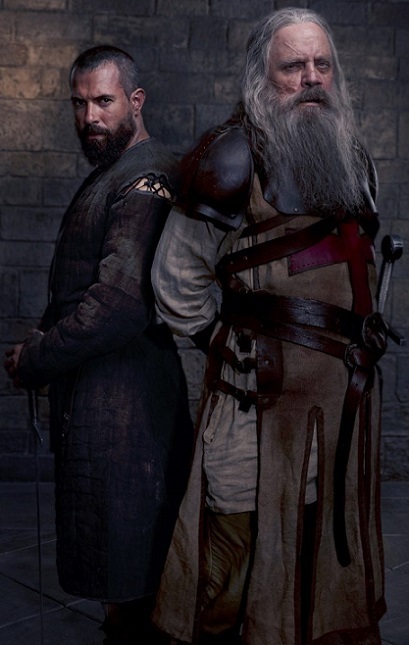 After the recent updates on the casting process for the second season of History's epic series KNIGHTFALL (currently shooting in Prague), today you can check out the first photo of Tom Cullen and Mark Hamill as Talus, a tough and wise warrior responsible for training new initiates of the Knights Templar, led by Cullen's Landry. Talus has been spent ten years in captivity during Crusades. The second season will explore this dark time in history from the Templar perspective, embracing an authentically grittier, darker, and more brutal Medieval period than has ever been seen before. Tom Forbes joins the cast as Prince Louis of France, Clementine Nicholson as his wife Princess of Burgundy, Genevieve Gaunt is his sister princess Isabella of France. 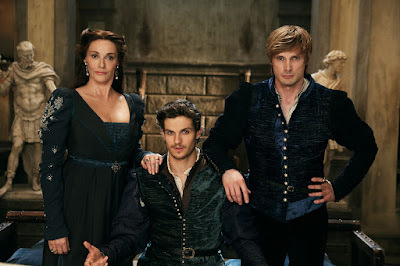 Bradley James. The cast will also include Sarah Parish as their mother Lucrezia, Sean Bean as their enemy Jacopo de' Pazzi, Raoul Bova as Pope Sixtus IV, Sebastian de Souza as Sandro Botticelli and Alessandra Mastronardi as Lucrezia Donati! 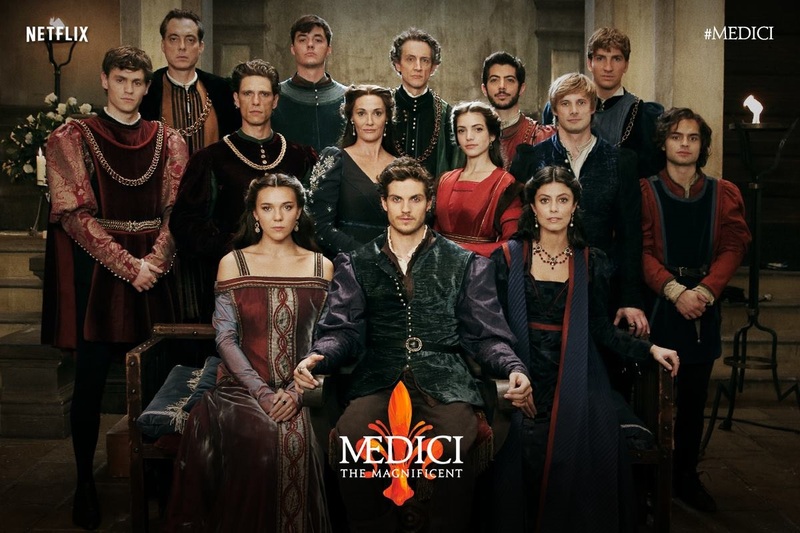 Medici's family he has to take care of his brother Giuliano and his sister Bianca. He marries Clarice Orsini, a noble woman from Rome, and his friendship with Botticelli gives life to Renaissance. 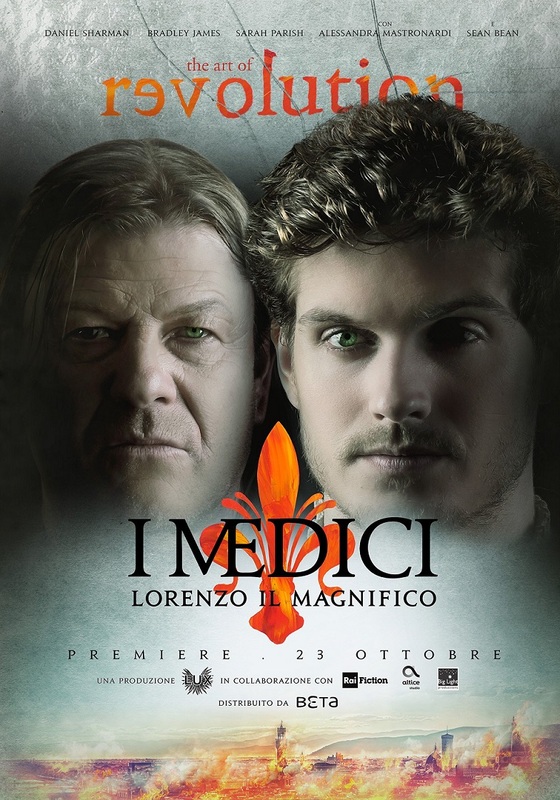 His contrast with Pope Sixtus brings Florence to the most bloody moment of its History, the Pazzi conspiracy. Speaking of epic series, BBC Two has announced the cast for their historical series THE LUMINA- RIES the six part TV adaptation of the popular Man Booker Prize winning novel by Eleanor Catton! Into the Badlands star Marton Csokas and Robin Hood star Eve Hewson will lead the cast as Francis Carver and Anna Wetherell! Eva Green will play Lydia Wells. THE LUMINARIES tells an epic story of love, murder and revenge, as men and women travelled across the world to make their fortunes. It is a 19th century tale of adventure and mystery, set on the Wild West Coast of New Zealand’s South Island in the boom years of the 1860s gold rush. The story follows defiant young adventurer Anna Wetherell, who has sailed from Britain to New Zealand to begin a new life. There she meets the radiant Emery Staines, an encounter that triggers a strange kind of magic that neither can explain. 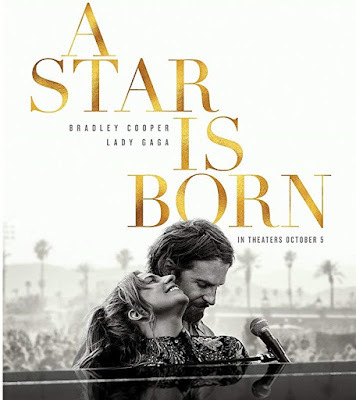 As they fall in love, driven together and apart by fateful coincidence, these star-crossed lovers begin to wonder: do we make our fortunes, or do our fortunes make us? 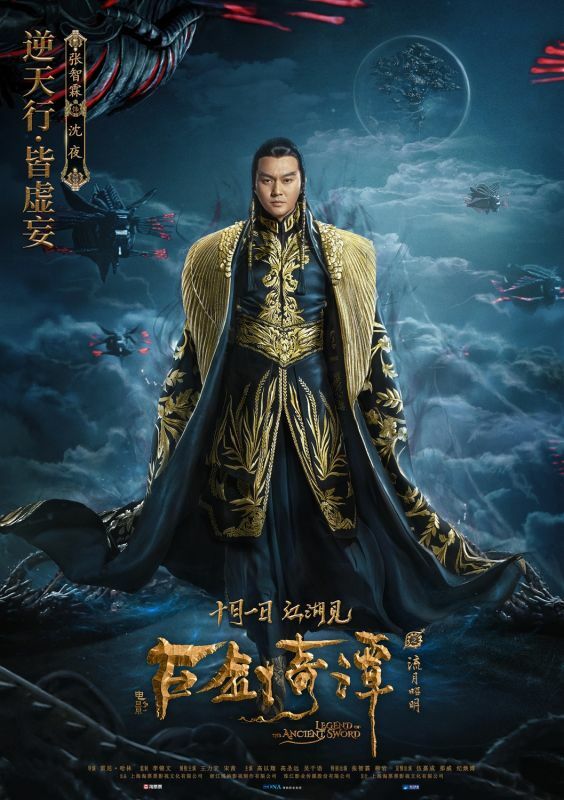 Mandarin Chinese movie is out next week! Godfrey Gao, Karena Nig, Archie Kao, Julian Cheung and Ada Liu, LEGEND OF THE ANCIENT SWORD is fantasy adventure action movie adaptation of famous video game Gu Jian Qi Tan 2! LOVELY FIRST TEASER IS HERE! Two French trailers for you this cold Monday at the start of Autumn. 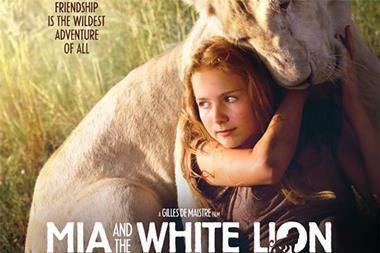 First up, a teaser for South Africa set MIA AND THE WHITE LION from French director Gilles de Maistre! 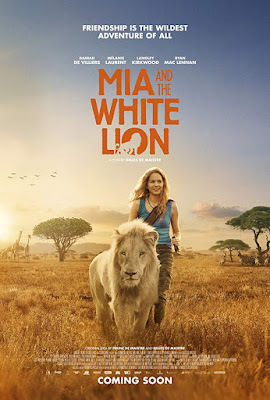 The shooting of the movie lasted for three years so that the actors could bond with the animals that are the stars of the film. 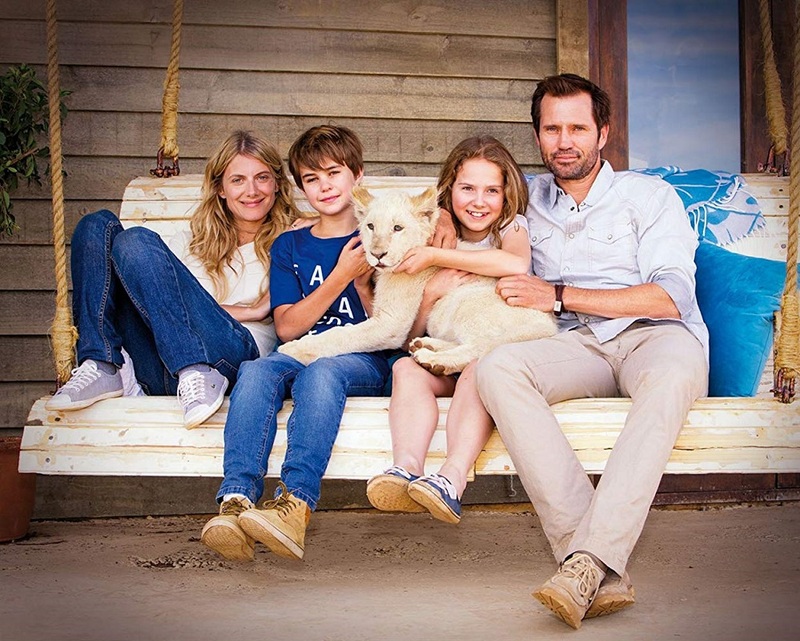 father decided to sell the lion to trophy hunters. Desperate, Mia has no other choice than to flee with Charlie in order to save him. 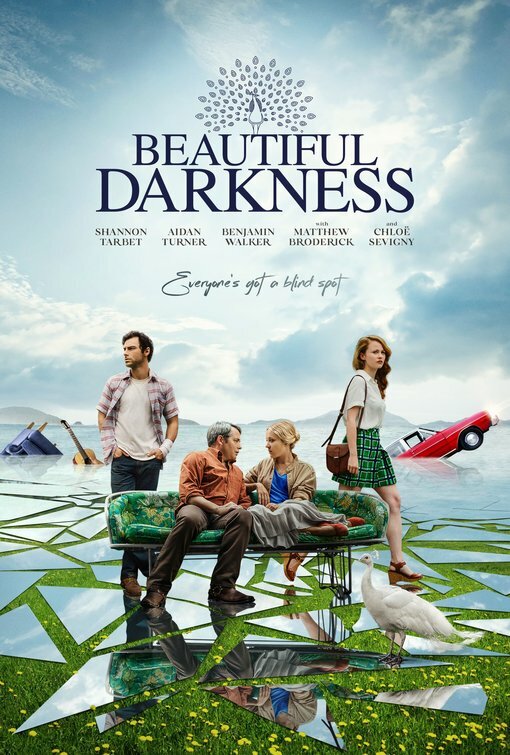 Langley Kirkwood and Melanie Laurent also star. German occupation. The writer and communist Robert Antelme, major figure of the Resistance, is arrested and deported. His young wife Marguerite Duras (Melanie Thierry), writer and resistant, is torn by the anguish of not having news of her and her secret affair with her comrade Dyonis. 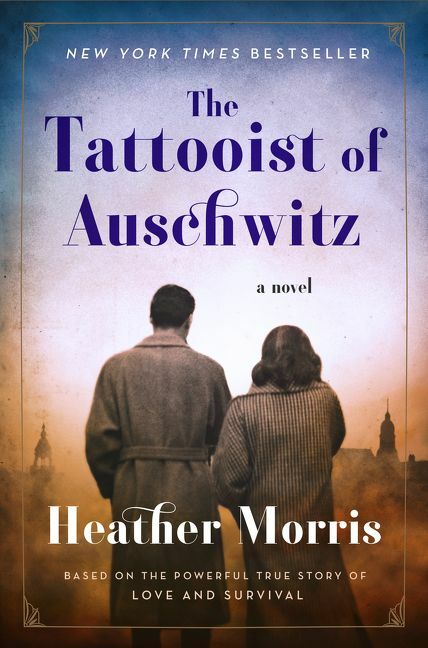 She meets a French agent working at the Gestapo, Pierre Rabier, and, ready to do anything to find her husband, puts himself to the test of an ambiguous relationship with this troubled man, only to be able to help him. 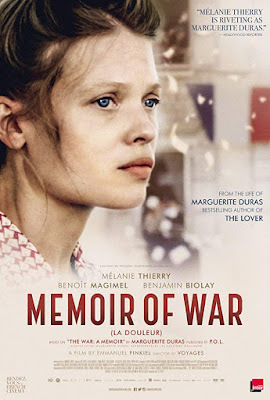 The end of the war and the return of the camps announce to Marguerite Duras the beginning of an unbearable wait, a slow and silent agony in the midst of the chaos of the Liberation of Paris. also directed, wrote and produced the movie and also performed the music in it! The soundtrack with 19 songs on it will be out the day of the movie's release. 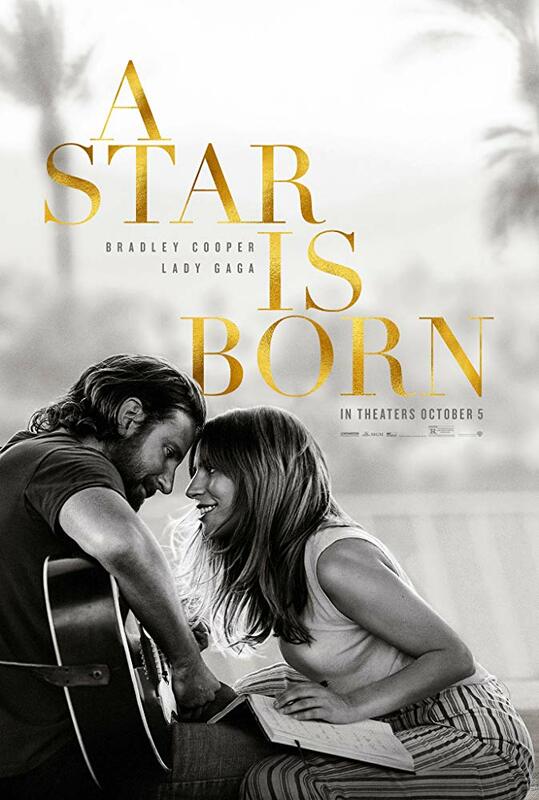 Gaga and Bradley wrote the songs and recorded them live during filming. Bradley directed, wrote, produced the film in which he acts and sings. 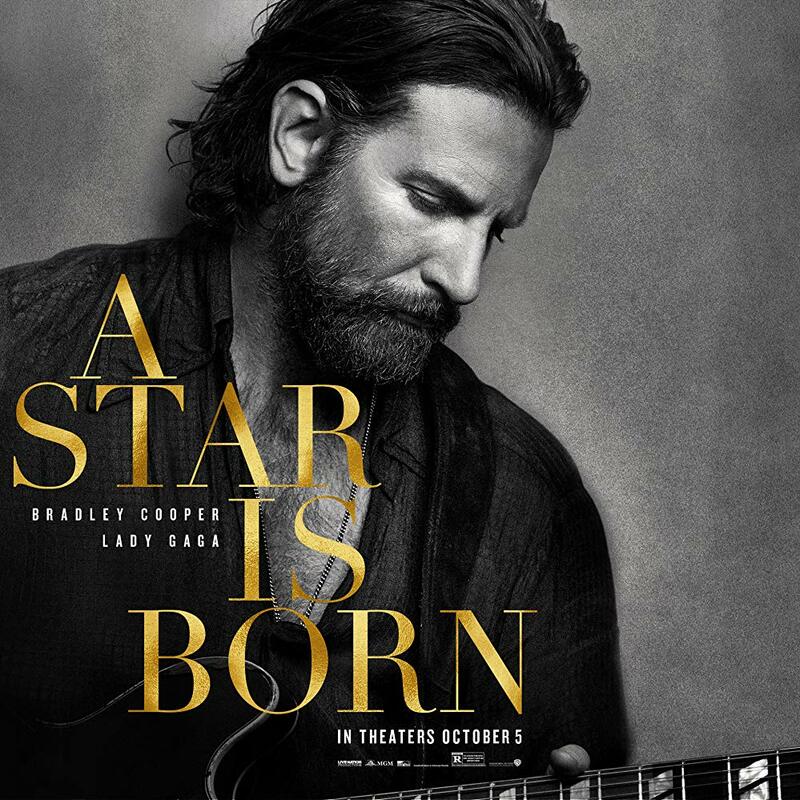 He learned to play the guitar for the film and had singing lessons because the songs were recorded live on the sets. Maine, who discovers and falls in love with struggling artist Ally. She has given up on her dream to become a successful singer, until she meets Jack, who immediately sees her natural talent. 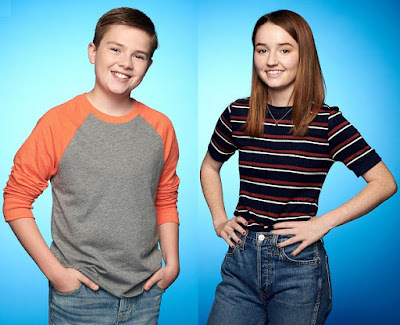 respectively, who unwittingly welcome 13 year old Nick (to be played by Siena Agudong) into their family of four before realizing she is a street-smart con artist with a secret agenda. 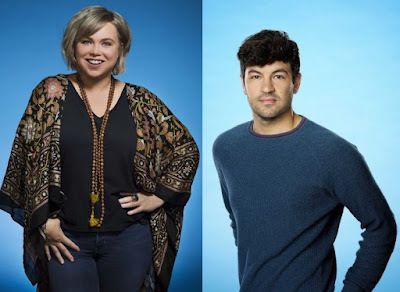 Kalama Epstein and Lauren Lindsey Donzis will play their kids. 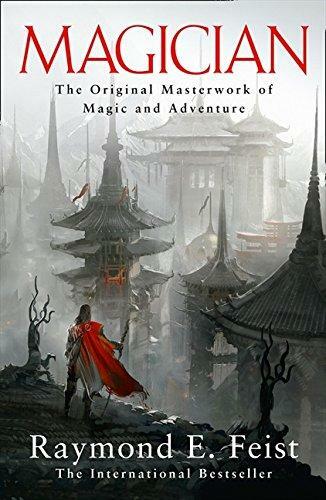 BCDF Pictures has bought the rights on Raymond E. Feist’s epic fantasy series THE RIFTWAR SAGA and Kurt Johnstad (who wrote both 300 movies) has been hired to adapt the first novel Magician Aprentice as TV series. The saga, set in Midkemia, which has 32 novels sold in more than 20 million copies, sees the peace of the Kingdom of the Isles destroyed when mysterious invaders from another world swarm the land. 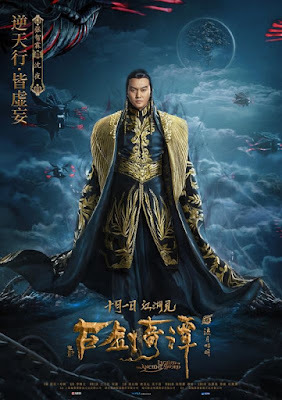 A young magician’s destiny leads him through a rift in the fabric of space and time to master the powers of a strange new magic, while his warrior friend inherits a legacy of savage power from an ancient civilization. 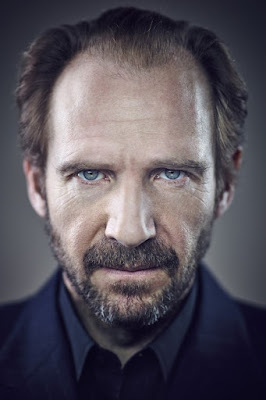 The latest scoop coming from British Daily Mail is that Nicole Kidman and Ralph Fiennes will team up on new historical drama movie THE DIG based on John Preston's novel about the 1939 discovery of Anglo Saxon treasures at Sutton Hoo which led to the excavation of a royal burial chamber in which a 90ft-long ship was entombed 1,400 years earlier. 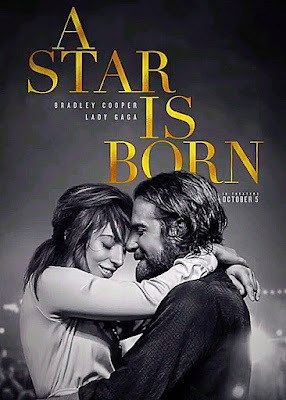 Kidman and Fiennes will play Edith Pretty, who owned the land at Sutton Hoo, and Basil Brown, the archaeologist who found what was discovered there and the Simon Stone directed film will depict a fictionalised version of their relationship. gold and gems, a ceremonial helmet, shield and sword, a lyre, gold buckles, coins, and a distinctive full-face helmet with a dragon on its crest never before seen in Britain. Objects from the Byzantine Empire and the Mideast that were also found there confirmed trade networks between the Anglo Saxons and the European mainland. The diggings at the site have continued ever since, one third of it still hasn't been explored, and back in the 1990's a noble warrior in full armour was found buried alongside his horse. It still isn't known whose burial ship was it, but many believe it belonged to Rædwald, King of East Anglia, who died in 624! 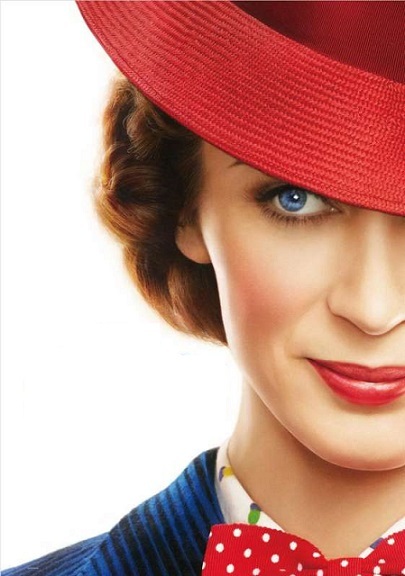 New book adaptations for you today! 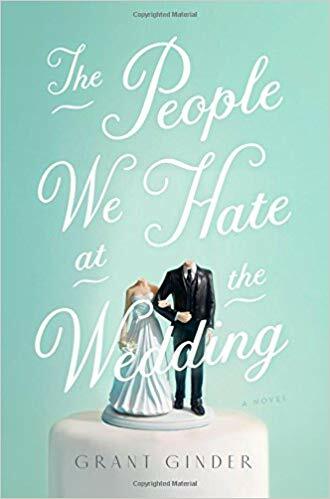 'Deadline' reports that Grant Ginder's comedy novel THE PEOPLE WE HATE AT THE WEDDING will be turned into a movie by three time Oscar nominated producer Michael de Luca. THE PEOPLE WE HATE AT THE WEDDING follows struggling siblings Alice and Paul, who reluctantly agree to attend the wedding of their estranged half-sister in the English countryside. Over the course of the wedding week, the family’s many skeletons are wrenched from the closet, and the unlikely family reunion gives Alice and Paul the motivation to move their own lives forward. Also getting an adaptation, but a small screen one is World War II book THE TATTOOIST OF AUSCHWITZ by Heather Morris which is to be turned into an international series with an aim for it to start airing in January 2020 at the 75th anniversary of the camp's liberation. 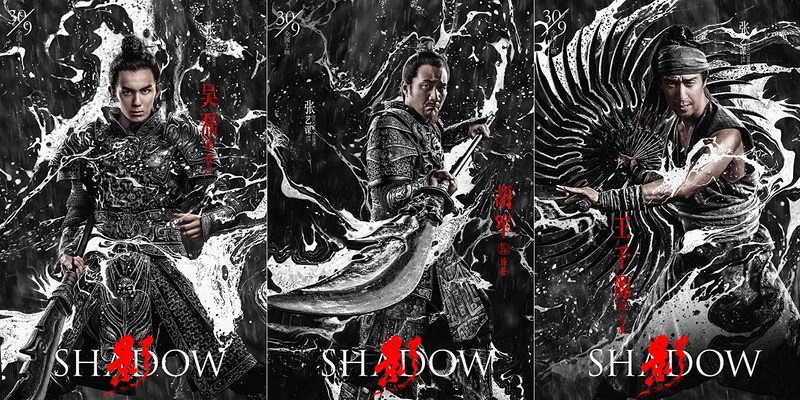 LIVE ACTION SERIES AT NETFLIX? 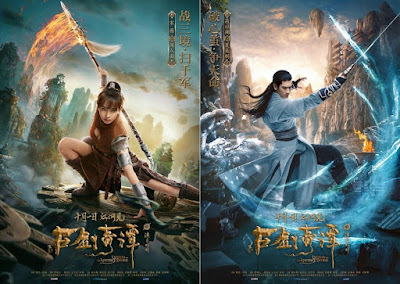 , apparently, planning to turn AVATAR: THE LAST AIRBENDER into a TV show. 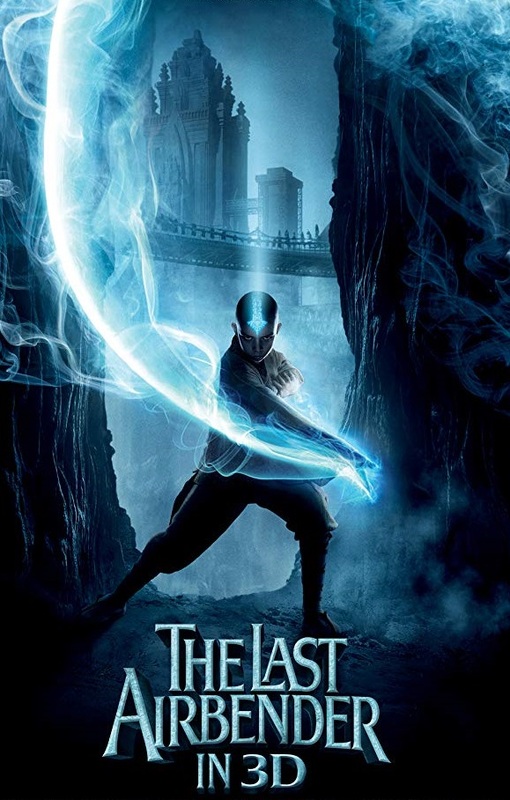 Michael DiMartino and Bryan Konietzko who were the creators of the animated series will now also produce the live action version. 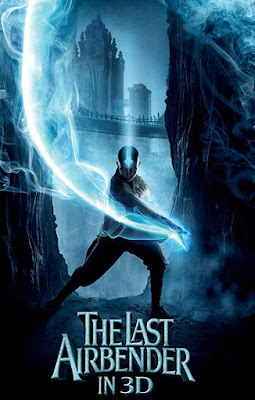 The Last Airbender is set in an Asiatic world in which some people can manipulate the classical elements (air, water, fire, earth) with psychokinetic variants of the Chinese martial arts known as "bending". 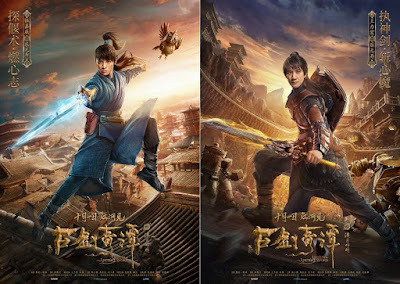 This epic adventure followed the protagonist, twelve year old Aang and his friends, who must bring peace and unity to the world by ending the Fire Lord's war with three nations. Speaking of Netflix, they've bought BBC's this season's most intriguing drama Bodyguard and will air it around the world from October 24th! 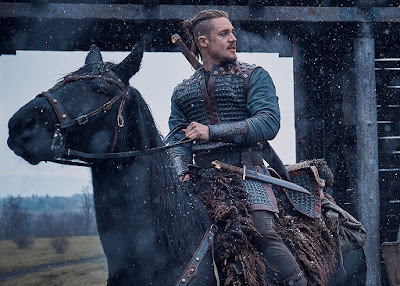 Dreymon as brave Uhtred of Bebamburgh! 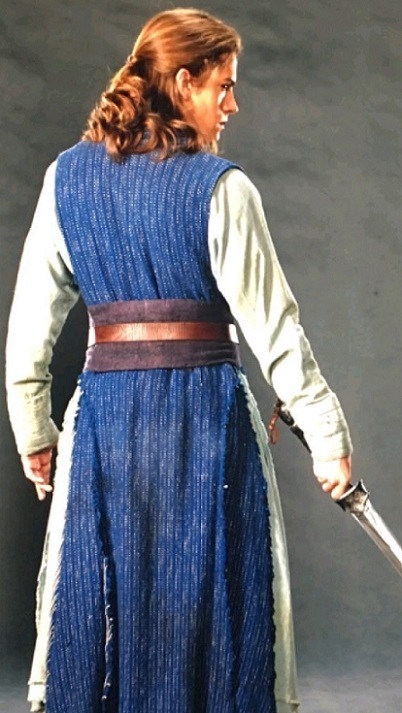 The series set in the 9th century when separate kingdoms were fighting against invading Danes will also see David Dawson return as King Alfred. 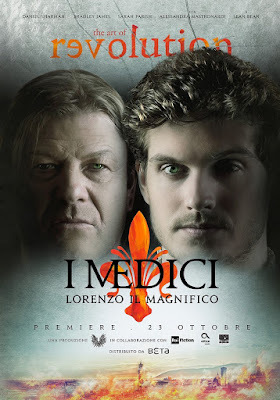 Netflix will air the season probably sometime next year based on Bernard Cornwell's novels. 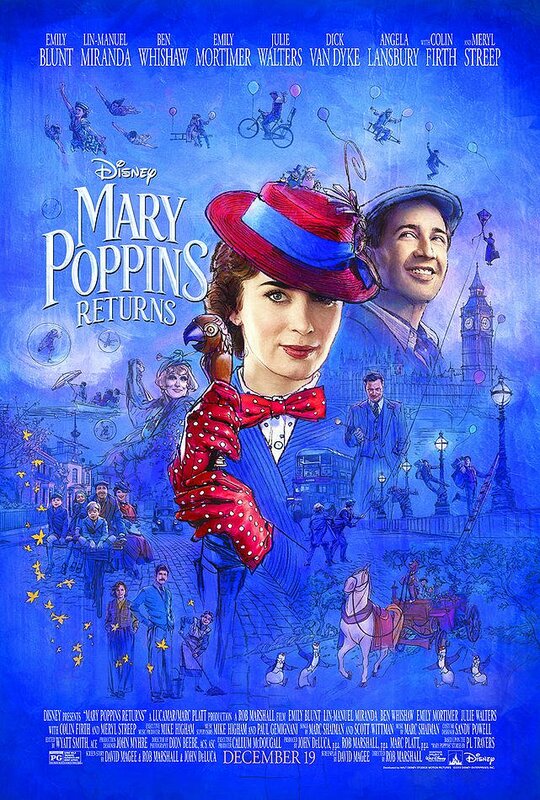 along with a new poster! 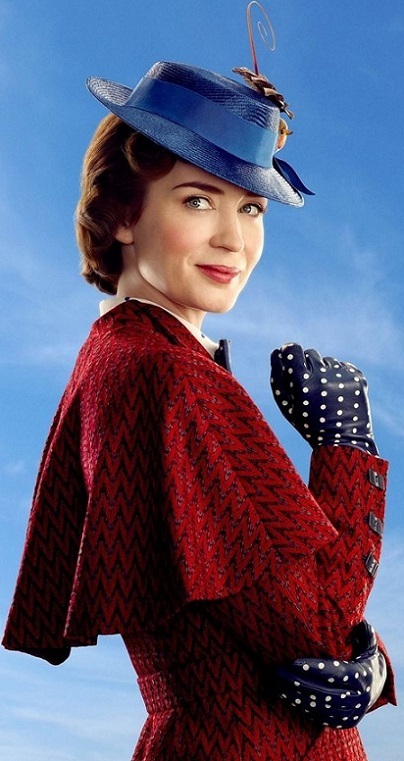 Emily Blunt leads the movie set 25 years after the original one based on PL Travers books. 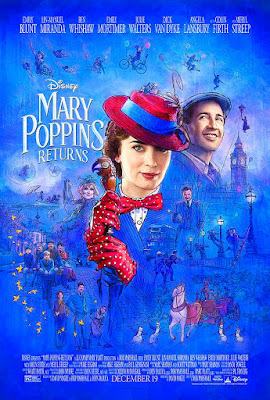 Mr. Dawes Jr, Meryl Streep as Mary's eccentric cousin Topsy Poppins and Angela Lansbury as Balloon Lady. 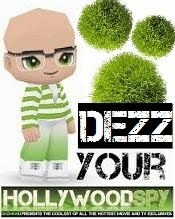 The movie hits theatres Christmas this year! 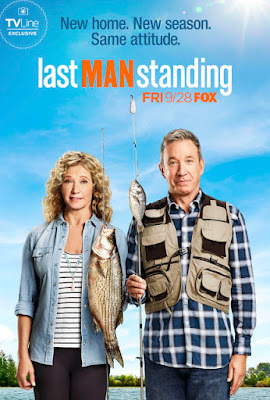 PREMIUM SPOTLIGHT ON TIM ALLEN'S 'LAST MAN STANDING' 7TH SEASON GLORIOUS TV RETURN! 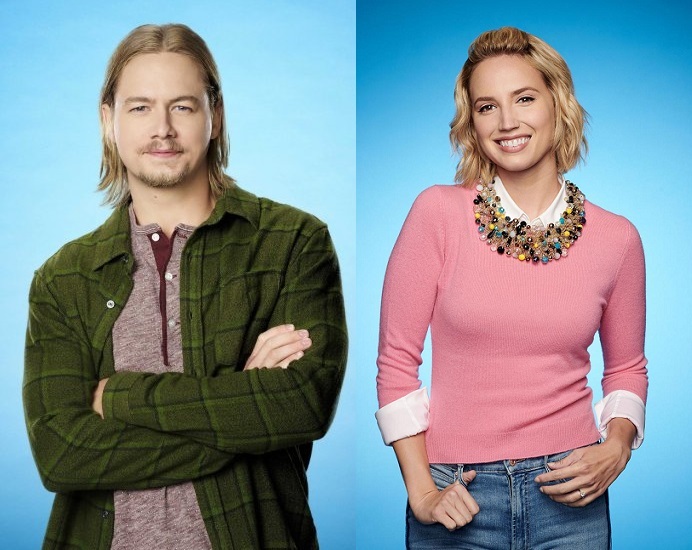 CAST INFO, CHARACTER PHOTOS AND NEW TRAILER! This time, the sitcom airs on Fox! The beloved cast returns September 28th to the small screens! STANDING is everything but. 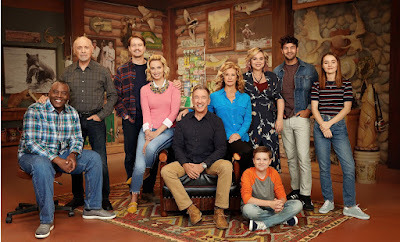 The most wholesome family show on the television has always put focus on a dialogue between opposing opinions, ages and classes, ending each of its love filled episodes with a message of tolerance and compromise. Message of peace wrapped in decent, always fresh and mature, humour while tackling the current social, political and all other issues. 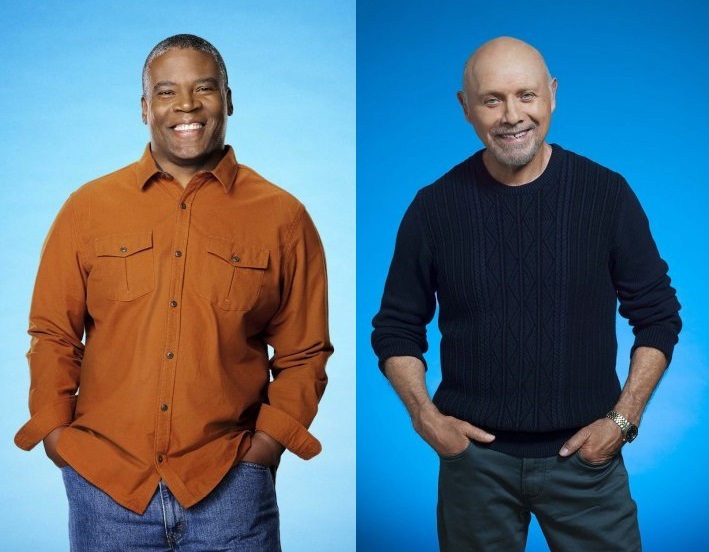 So here's a big hooray for the return of television's most beloved multi camera comedy! often have nothing to do with the store’s merchandise. When he’s supposed to be selling mountain bikes or kayaks, he somehow ends up spouting off about the environment, health care, international politics or any other topic occupying his mind. will be also lovely seeing the warm radiance of little Jet Jurgensmeyer as their grandson Boyd, now a 12 year boy at the brink of puberty. The kid was really adorable and delightful playing Jack's grandson in Will And Grace last season. 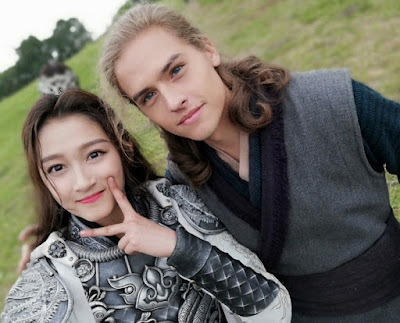 Krista Marie Yu will play a young scholar from China who is staying at the Baxters' house while she completes her schooling in the States. Since Hollywood is sleeping this weekend, the spy will entertain you today with the first trailer (coming straight from Toronto International Film Festival) and posters for the latest epic spectacle directed by famous Zhang Yimou, the helmer of House of Flying Daggers, Curse of the Golden Flower, and Hero and international productions such are The Great Wall and The Flowers of War. 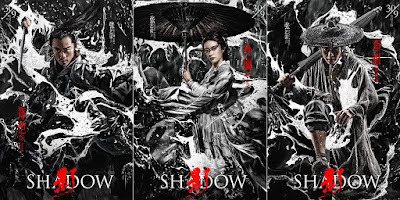 His new historical adventure SHADOW arrives to Chinese Cinemas September 30th and will get North American release sometime next year. You can check out the unusual visual aspect of his new movie in the trailer below! 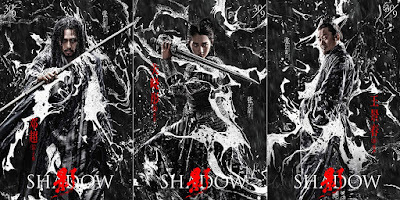 Black and white style follows the style of Chinese ink wash paintings. enemies and the King himself. 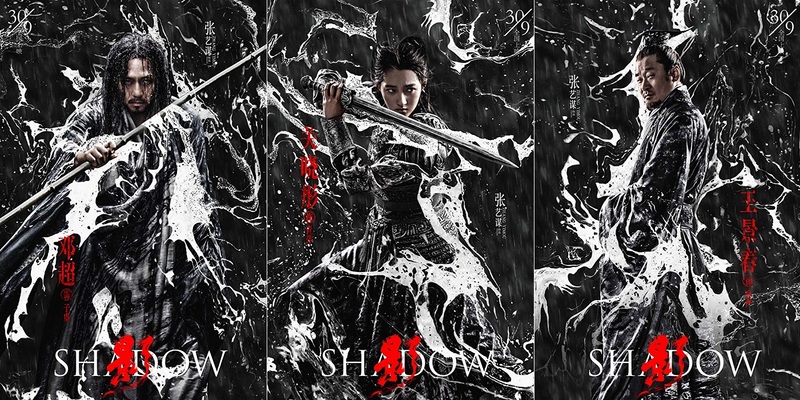 In his obsessive quest for a long-sought victory over a rival kingdom, the commander must execute an intricate plan involving his wife, the Shadow, and the kings of both kingdoms, leading up to a major invasion. 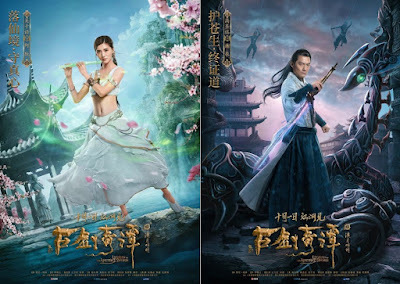 battle but needs to prepare his plans in secret; the women of the palace, who struggle to find redemption in a world where they have no place; and a commoner called "Lord of all the world"!